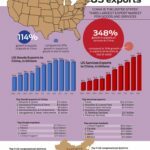 The US-China Business Council’s 2017 reports on state and congressional district exports are out and their findings are clear – though China’s economic growth rate is slowing, it remains an important market for US exports and continues to provide growing opportunities for American businesses, large and small. 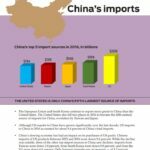 At the same time, US exports to China under perform what they could be, given the barriers that frustrate full market access to the world’s second largest economy. 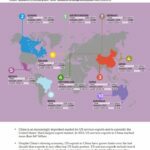 China’s economic growth rate is slowing, but it remains an important market for US exports.In 2016, US goods exports to China totaled $113 billion, holding steady with the previous year and still the third-largest US goods export market behind Canada and Mexico, our neighbors and NAFTA partners. 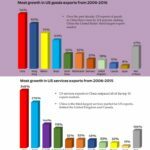 Most congressional districts have seen significant growth in exports of goods or services to China since 2006. 432 out of 435 districts saw triple-digit growth in exports of servcies to China since 2006, and 190 districts saw similar growth in exports of goods. 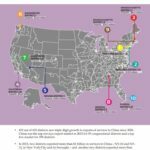 The Value of US goods and services exports to China is significant for congressional districts around the country. 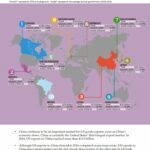 China was a top three goods export market for 263 districts in 2016, and among the top five for 358 districts. 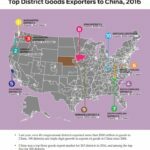 China was the top services export market in 2015 for 93 congressional districts and a top five market for 399 districts. Read Full USCBC 2017 Congressional District Export Report here.